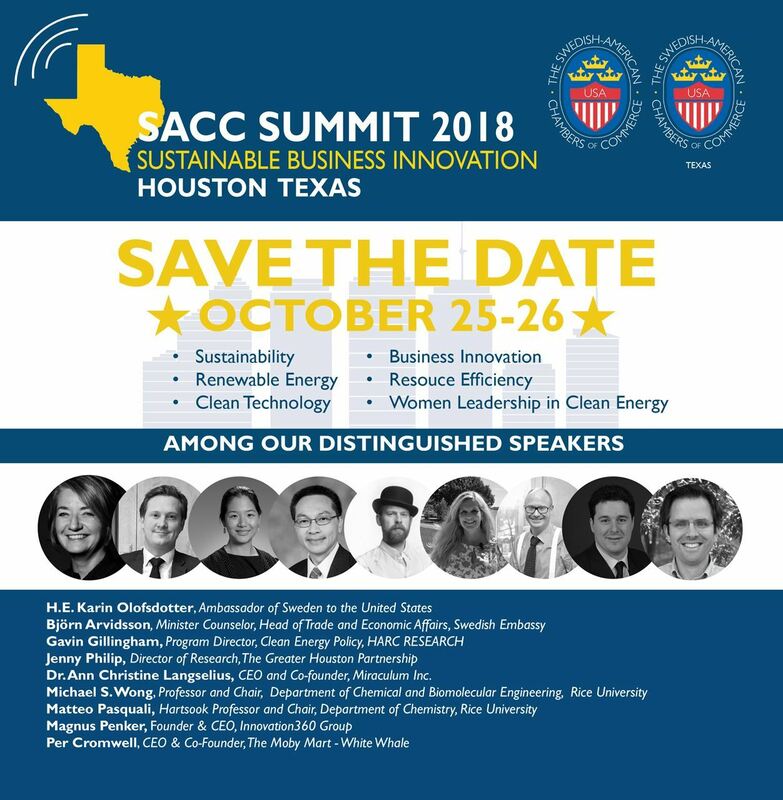 Save the date for SACC Summit 2018! SACC would like to welcome you to our flagship event SACC Summit 2018 – the premier business and networking event that will this year feature the theme: Sustainable Success - Business through renewable energy and sustainable recycling. Reserve these days in your calendar! Read more and sign up for SACC Summit 2018 here.